I don’t know if falling in love is more challenging today than it was before. But it can’t be easy with the constant allure, cover, and distraction of smartphones. Case in point: I saw a guy macking on a girl recently—or at least trying to. He was obviously interested; his attention undivided. She was preoccupied with her phone, however. She occasionally rejoined his advances with peppered smiles and words, but she mostly focused her attention on the tarot card-sized device she cradled in hand and poked at with thumbs. From a distance, I couldn’t tell if she was coping with embarrassment behind her phone, considering a counter-flirt, or not at all interested. If I had to guess, I’d bet on the latter because newly crushing or in love couples usually stay fixated on each other’s eyes. Of course, interested males are horrible at deciphering this universal truth — always have been, always will, with or without smartphones. But I know first-hand how complicating phones can be to loving relationships. 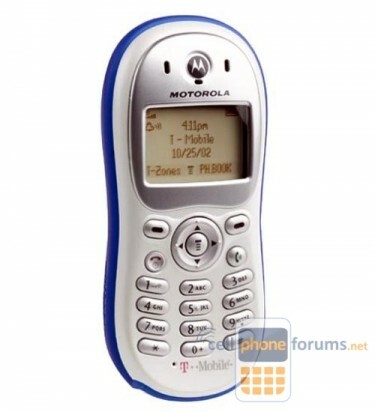 When I fell in love with my wife at the turn of the century, I had just purchased my first cell phone. It was only good for placing and receiving calls. Text messages existed, but I didn’t know anyone that used them, because they costed 50¢ each or defaulted to off depending on the carrier. As such, our pocket phones didn’t interfere with our ability to connect. Extended voice calls actually enhanced it. These distractions understandably drove my wife crazy because I was, in essence, having an affair with my phone. White lies were told when asked, “Blake, what were you doing?” Often times I’d leave the room – or wherever it was we were vacationing – for “a quickie” to avoid sideways glances that accurately accused me of being elsewhere in thought, priority, and identity. I did this for a couple of years until it finally drove me crazy. I had formed a love/hate disorder with my phone. I liked it for the conveniences it did then (and now), but I knew I was unable to have a personal life while leashed to a phone. So I began purposefully leaving it behind on nights and weekends. From there, I made the best gadget policy I’ve ever adopted: I turned off all alerts, visual notifications, and vibrations with exception to voice calls. Not only did this help my love life, it saved my sanity and enhanced my work life. To this day, I still turn off all iPhone alerts. Despite strict limits, the smartphones in my marriage still interfere with quality time and distract us from doing things we truly enjoy that require more focus, greater attention, or more work. Now, I’m not blaming these devices. When used properly, I believe they complement life. But their power is easily abused by us.